Imagine not having to remember a half a dozen passwords and avoid having to input them countless times per day. Motorola is working on a digital tattoo or a indigestible pill that could do all the password authentication for you — no memorization or cheat sheet list required. Motorola’s Advanced Technology and Projects Group Chief Regina Dugan, who was a former DARPA chief, showed off such an electronic tattoo at the recent D11 conference, according to SlashGear. “Essentially your entire body becomes an authentication token,” she said. 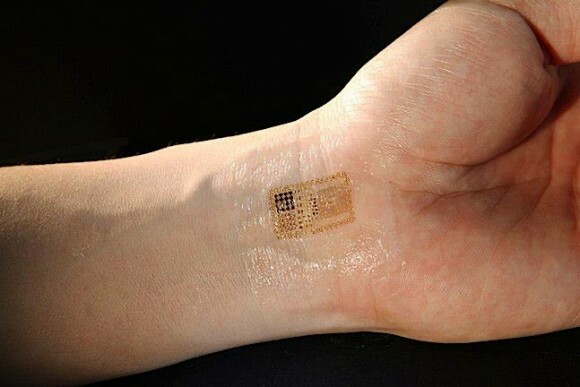 Working with the company mc10 to develop a flexible, skin-like tattoo with this capability — which TheBlaze has seen before but it was used checking medical vital signs – Motorola is thinking this could someday be the next stage of durable, wearable technology.